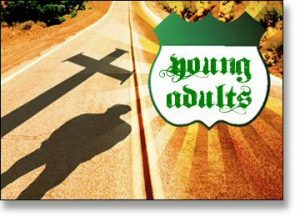 The Young Adults Ministry of Calvary Baptist Church consists of college-aged young adults, marrieds, & singles (ages 19-29) coming together for fellowship, encouragement, and to grow more like Jesus. Our goal is to lift up the name of Jesus Christ and to see lives changed through the power of His Gospel. We encourage young adults to KNOW & worship Jesus Christ as our only God & Savior and to connect with other followers of Jesus. We encourage them to GROW in being more like Christ, and to GO for Christ and share the life-changing message of the Gospel with others. Young adult Sunday School class. Join us on special activities & trips. Become an integral part of the church family. Generally have a great time of fellowship and fun together. In our Young Adult Ministry we are unapologetic about 3 things… we passionately lift up the name of Jesus in worship, we teach expositionally through the Bible in all our gatherings, and we desperately desire to see lives transformed by the Gospel of Jesus! If you are looking to learn about Jesus, connect with other Christ followers, or just have questions and are looking for answers, then come join us for Wednesday Worship! At Calvary we believe disciples are made one at a time, in the context of the Spirit of God, the people of God, and the Word of God. Based on 2 Timothy 2:2, after attending church for a while and demonstrating that you are Faithful, Available, & Teachable, you may be asked to join the guys discipleship group (TEAM6) or the ladies discipleship group (YWC).